The holidays are almost upon us and with that we want comforting dishes. Almost all of my baking and a lot of my recipes include eggs for the holidays. I know using fresh and high quality eggs in my recipes will give them fantastic results. 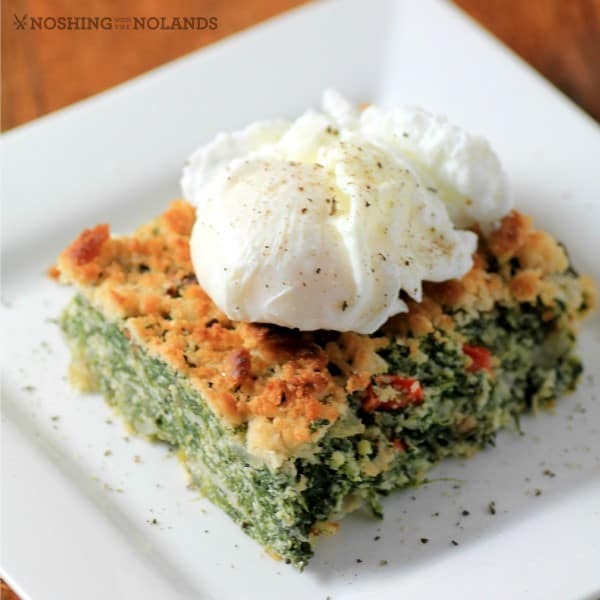 Today I have for you a Comfort Spinach Egg Casserole that works just as fantastic as a side dish as it does the next morning with a fresh poached egg on top. The eggceptional dish will bring you from morning to night!! We also have a fun holiday giveaway for you, so come to the bottom of the post to enter!! This casserole has loads of goodness along with comfort, as Canadian eggs provide us with lots of nutrients and vitamins like A, D and E. One egg also has only 70 calories. The entire dish can be made ahead of time and then the crunchy topping is added and broiled at the last minute. 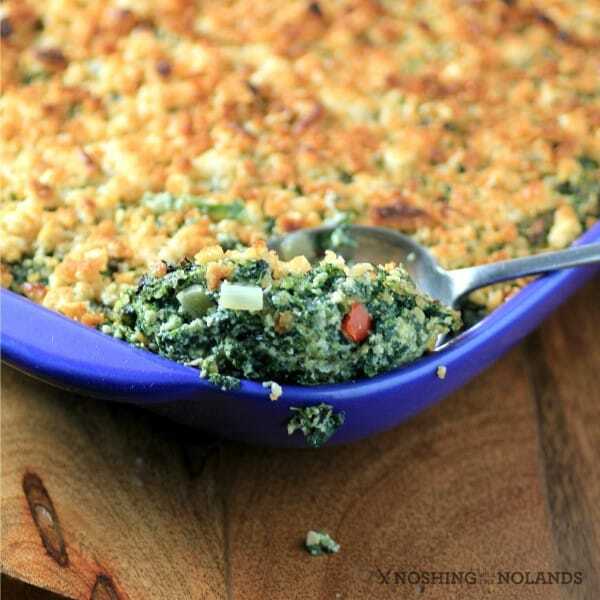 This dish is comforting with its’ crispy topping and amazing spinach, pepper base. It is all held together with wonderful eggs which are a natural choice and can be part of your healthy, active lifestyle. Did you know that under supply management that Canadian eggs are among the best in the world? Canadian eggs meet this standard through quality and freshness. Also, a high standard has to be met for food safety and farming practices. Our farmers work hard to give you the best and freshest eggs possible. There is nothing more comforting than a perfectly cooked egg in the morning for myself and my family. They are a go-to breakfast almost every day of the week. As I said this wonderful casserole can be changed into the base for a great breakfast, highlighting our comfort food, EGGS! I love that eggs are so convenient and versatile, they can be served by themselves, adorning the top of a casserole like this one, made into a complex sauce or in almost everything you bake. Just think how many recipes include eggs, it is eggmazing!! 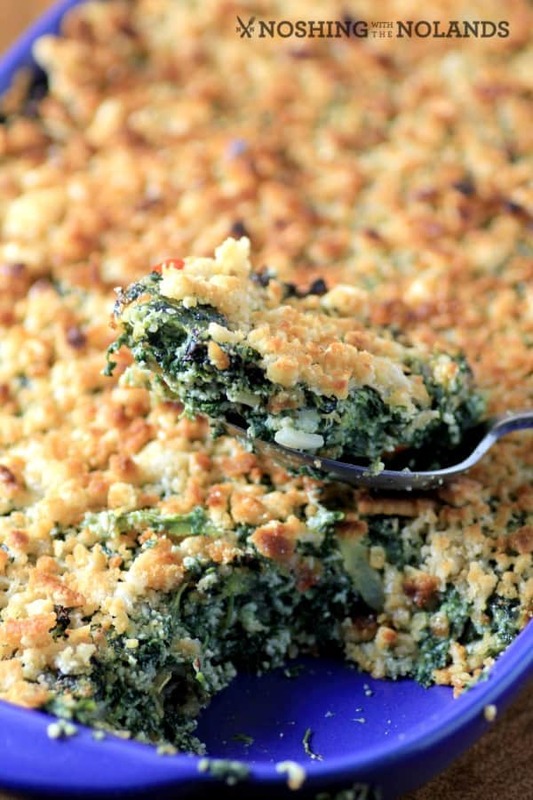 A comforting spinach and egg casserole that is versatile from morning to night. It makes an eggcellent base for a poached egg the next morning. Preheat oven to 350F. Heat the 1 Tbsp. butter in a medium skillet and add onion, red pepper and garlic and saute on medium low for 5 min. until the onion is translucent. Meanwhile in a large bowl add the ricotta, mozzarella, spinach, eggs, butter, flour, salt and pepper. Add the onion mixture when done and cooled slightly. Mix well and then place in a greased 9x13 casserole and bake for 40-45 min. Make sure the center is cooked. For the topping mix together the crackers, cheese and butter. Sprinkle on top and broil for 1-2 min. until golden brown and crispy. Serve immediately cutting in squares or scooping out. If there are leftover try a poached or fried egg on top for breakfast! And now for our giveaway………….. The giveaway runs from November 12 at 8 am and runs through to December 3rd, at that time a random winner will be chosen. There are 3 prizes and 1 winner for each!! This giveaway is open to Canadian residents. Winner must confirm by email within 48 hours or a new winner will be chosen. Here are the very generous and amazing prizes!! Giveaway RULES are here! Good luck everyone!! I love that they are fast to cook, versatile and good for you. I love that they are inexpensive and good for you! Eggs are quick and easy to cook and very filling and tasty. What I love about eggs is that they are full of nutrients, low carb, and high in protein. I love eggs because you can do so much with them and they are delish. I love how good eggs are for you and how there are just so so many ways to eat them! Love that they are packed with protein and many other great nutrients and can be cooked a variety of ways. I love the versatility being able to use them in so many different ways. I love eggs because they contain protein, are extremely versatile, easy to cook and last but not least they are so yummy. I love how versatile and tasty they are! I love that everybody in the family loves eggs so breakfast, lunch or diner is fab when I serve them, no complaining. I love eggs for all my baking as well as cooking. Eggs are very versatile in doing both. If I want my cake to be lighter I just add more! As well as when baking bread I always increase the amount. I use them the most when making my pasta from scratch! They’re cheap and easy and good for you and versatile! Eggs are my go-to meal whether it’s breakfast, lunch, or dinner! I love how much protein each egg has and how easy it is to cook it in so many different ways. I love how eggs can be quick and easy to prepare for any time of day. I love that eggs are nutritious and delicious! I love that you can make 100 different meals with just a egg! I love the versatility of eggs! I love how much they GIVE. You have have them poached soft to dunk your toast (my fave), on eggs benny, or boiled for a quick and nutritious snack. I love them before the gym, too – scrambled eggs and cheese – quick, delicious, easy energy. High in protein, low in carbs, a versatile food and good for you. So many recipes use eggs. I love the protein factor in eggs, how they go with almost everything (put an egg on it) and I loved that Anna Olson grates one hard boiled egg yolk into one of her cookies recipes! I love this Tara!!! What a hearty and delicious recipe. This could work for so many meals. 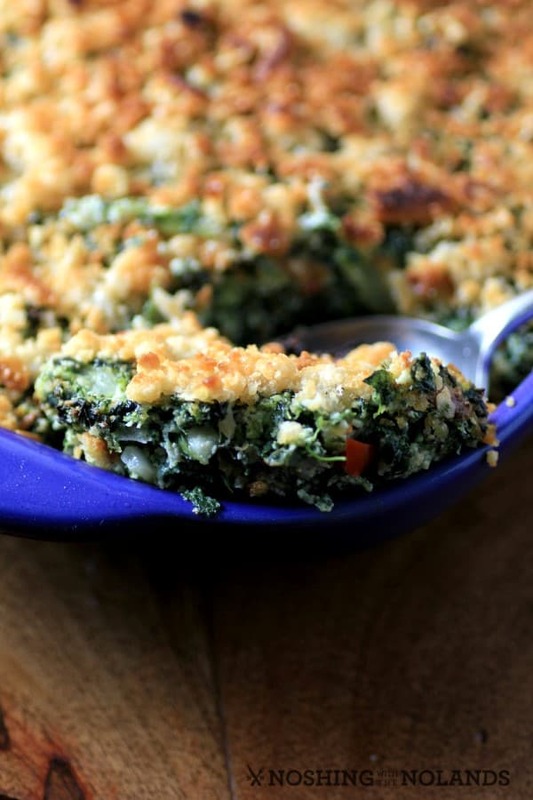 A great side dish for the holidays and like you said, a fantastic breakfast! They’re so versatile, filling and full of nutrients, and ‘a steal of a deal’ everything considered! I like that they are a quick source of protein. I like that eggs are a great source of protein and make a great meal in a matter of minutes. Great looking dish – thinking about it for a Thanksgiving side dish. They are an easy dish that everyone likes! I love eggs because not only are they delicious, they are full of nutrients, low carb, and high in protein. I absolutely adore eggs and this dish looks phenomenal! That crunchy topping is to die for! I love that they are so delicious and versatile and packed with protein,They always makes a great meal! I love that they’re so versatile & taste great. I love all the different ways eggs can be incorporated into a meal! And they are tasty too! This sounds like a great recipe, can’t wait to try it. I love eggs because there’s so many ways to use them, and they taste great. Most importantly, they’re good for you! Eggs are a nutritional powerhouse! The recipe looks amazing! I love that you can do so many things with them …. good for any meal of the day ! 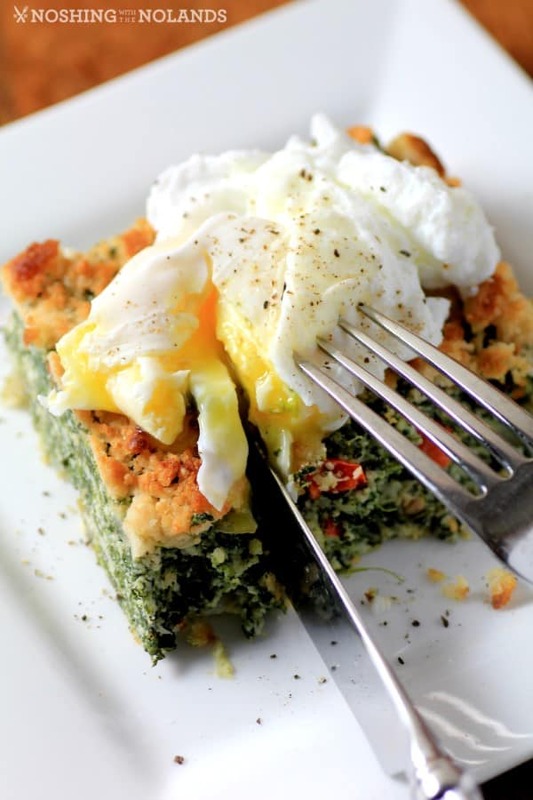 What a great casserole, and the runny egg pushes it over the top! 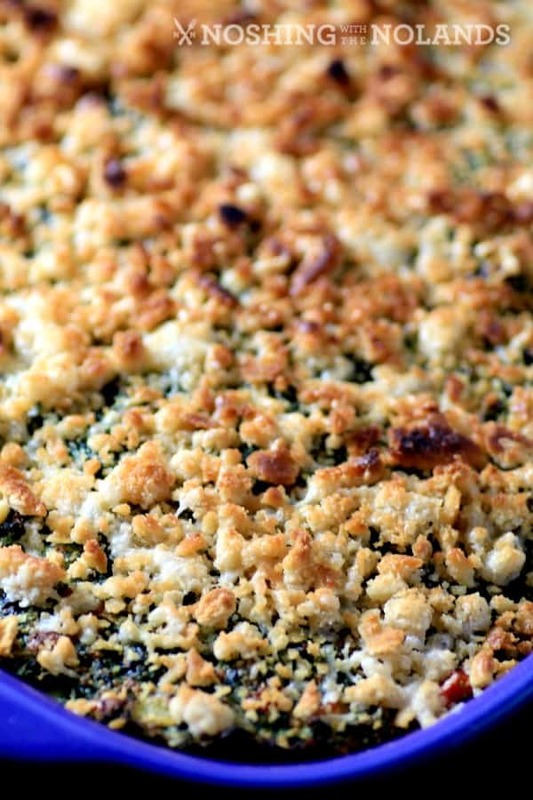 This casserole sounds amazing! Love that runny egg on top too. 🙂 Perfect for a weekend brunch. I love how versatile they are. I love that eggs are so versatile, and a great source of protein. I love how versatile eggs are. They are a staple for us! They are so easy to prepare for my kids when they are hungry and want a snack and they are nutritious too! I’ve just started eating a low carb diet, so eggs are a staple. I love that they’re so versatile, suitable for breakfast, lunch and dinner. i love eggs, because not only are the convenient to prepare, they taste delicious and have so many uses!! For breakfast, lunch, dinner or snack, eggs are the best! I love the taste of eggs! So easy and delicious! the versatility & health benefits! I love that eggs can be used for any meal or dessert. It’s so delicious on its own as well. I love the taste of eggs and how easy they are to prepare. 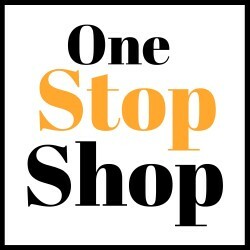 I love how versatile they are in main courses, appetizers, side dishes and desserts. I love eggs because they are versatile. IT is healthy and should I find myself thinking of what to prepare for the family Eggs are no-brainer. I love that eggs can be used in so many different recipes, I always have eggs in my fridge. I love eggs for all meals of the day! Thanks for this recipe, will have to try it out. Eggs gives me energy and nutrients! Eggs are quick, easy, affordable, healthy and taste amazing. They are good on there own, or in all your favorite dishes. I love how quick and easy they are to cook for all 4 grandkids, when the two older ones come home from school, I make them boiled eggs and toast, the two wee ones I daycare, get scrambled eggs on toast for lunch. So good for them, so easy for me. They are easy to cook, inexpensive, taste good, and so versatile for many recipes!